Light of China: supercomputer Sunway TaihuLight won the top of global rank list-WoSign SSL Certificates! On June 20th, the International Supercomputing Conference Frankfurt, Germany released the latest top 500 rank list of global supercomputer. Sunway TaihuLight developed by National Research Center for Parallel Computer Engineering Technology won the first with the arithmetic speed of three times as much as the speed of the second one. This is the first time China’s computer wins the first without using American semiconductor technology. All core components of this system including the processing element are homemade. Last champion China’s Tianhe-2 supercomputer used the chip of Intel. Worrying about being taken advantage of in military use, American government issued export bans which restricted Intel to export chip used for system update to China. In this time’s independent research and development, China applied a new technology called “many core”. Distinguished professor from computer science education center of Kobe University said that the development of many core processors needs sophisticated techniques. Success came faster than expected. Restrictions of American exports to some extent promoted technological development. World’s top performance to power consumption ratio: 6051MFlops/w. Just looking at the numbers from the International Supercomputer Conference, it can still be unclear. “To put it in a simple way, one minute’s computation power of this system equals to 7.2 billion of global population using calculator to do uninterrupted calculation for 32 years. If refer to mainstream laptop produced in 2016 or personal desktop, Sunway TaihuLight equals to more than 2 million ordinary computers adding together,” said the director from Wuxi center of national supercomputing, Yang Guangwen. Devoting into supercomputing is not all about the battle of speed. What’s more important is to win the battle of application. Vice director from Wuxi center of national supercomputing Fu Haohuan said that scientific research team lead by Tsinghua University has realized the million-core scale of global ten-kilometer high-resolution earth system numerical simulation for the first time depending on Sunway TaihuLight, which will overall improve the our ability to cope with extreme climate and natural disasters. The numerical results of Tiangong-1’s return path from National Laboratory for Computational Fluid Dynamics are very heartening and will provide accurate calculation for Tiangong-1’s return. The drug screening and disease mechanism research developed by Shanghai drug institute completed the calculation in two weeks which in common practice takes ten months. It accelerates the progress of drug design orienting in leukemia, cancer and bird flu. 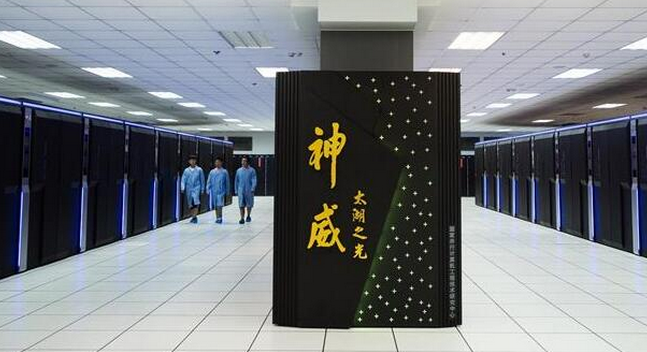 The success China has gained in the field of supercomputing is exciting. “Made in China” is no longer the byword of knockoff or counterfeit. China’s ability of independent research and development and strength of innovation in the field of high and new technology are bursting out, catching up with and surpassing foreign technical level. Strength of Independent research and development and core techniques help China get rid of the long-term dependence on foreign techniques and pull China out of the situation of being disciplined by others because of exports restrictions, technology backdoor and monitoring and give more chances to domestic enterprises as well. In the field of SSL certificate, independent brand of China WoSign has also caught up with foreign giants and kept ranking first in domestic market share. WoSign breaks the long-term monopoly of foreign brands in China and can replace them in every aspect of qualifications, product compatibility and system stability.